Doubts over the effectiveness of key anti-influenza drug Tamiflu highlights the importance of helping the body to fight illness the natural way. There's little doubt that many pharmaceuticals have an important role to play in fighting illness, but the ongoing controversy over the influenza drug Tamiflu highlights the importance of not simply relying on medication alone. Tamiflu is an anti-viral drug that supposedly works by slowing the spread of the virus between the body's cells and has been used to treat tens of millions of patients since its release. It is listed as an 'essential' medicine by the World Health Organisation and governments around the world have spent billions creating stockpiles for use in the event of a pandemic. Yet the effectiveness of Tamiflu has been debated for some time now, after reviewers from the prestigious Cochrane Collaboration found no clear evidence that the drug prevents complications in otherwise healthy people with influenza. 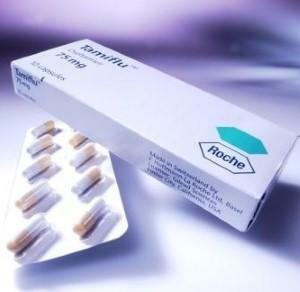 Since then, experts have repeatedly voiced concerns that Tamiflu may not be as effective at reducing the symptoms of influenza as manufacturer Roche would have us believe. But the company has so far failed to release key clinical trial data on the drug, despite promising to do so as far back as December 2009. The situation really came to a head after Dr Fiona Godlee, editor-in-chief of the British Medical Journal, wrote an open letter to Roche in October of this year, urging the company to make all relevant data public. At the time of writing, this has still not happened. Approximately 60 per cent of patient data from completed phase-III trials remain unpublished, prompting the Cochrane reviewers to voice concerns about "the likely overstating of effectiveness and the apparent under-reporting of potentially serious adverse effects". Peter Gotzsche, leader of the Nordic Cochrane Centre in Copenhagen, now says that governments should "boycott Roche's products until they publish missing Tamiflu data", and even went so far as to question why governments in Europe have not sued the company "to get the money they had spent on needlessly stockpiling Tamiflu". All of which begs the question, can we really trust and rely on the drugs we're advised to put into our body? Fortunately for us, the body has its own powerful in-built biological defence system keeping us healthy. This is called the 'immune system' and it is comprised of a whole family of specialist cells and chemical signals which can resist viral and bacterial attack, and restore our body's biological integrity. Our immune system can be optimised by healthy lifestyle choices as well as food supplements. Conversely, it can be severely disrupted by unhealthy lifestyle choices such as eating poorly, smoking, drinking alcohol to excess and not receiving adequate nutrients. This is why it is so important to make positive lifestyle choices: for without an effective immune system, even the best medical intervention is not going to be effective. The health of our immune system, therefore, must always be at the top of the list, whether we are being treated by a medical doctor or taking a natural alternative approach. In fact, it can be the deciding factor in disease recovery and prevention.